Breweries vs. 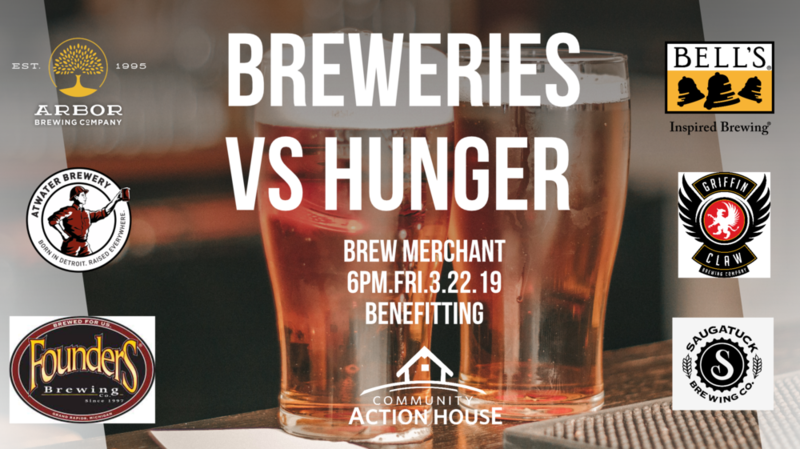 Hunger is about supporting the good work of Community Action House. Come ready to donate - all funds collected will critical resources to thousands of local families, in food security, shelter, and financial stability. You'll also be hearing from Scott Rumpsa, the new Executive Director of Community Action House. He'll be on hand for informal Q&A and sharing about how important you are to meeting the needs CAH is seeing on the front lines. Most of all, we're grateful for your support, and looking forward to enjoying an end of week a beer together for our community. We'll also be accepting your nonperishable food donations for the food pantry, which provides for thousands of our neighbors every year. If you have any gently-used extra winter gear (coats, scarves, gloves), bring them, and we'll make sure to get it to people who need them most.